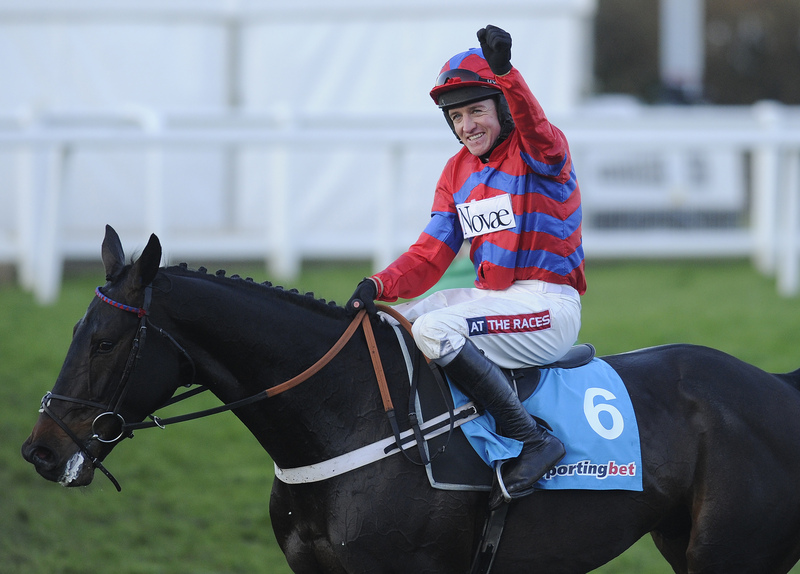 Sprinter Sacre returned to the scene of his greatest triumphs when storming to a 14-length victory in the Grade 2 Shloer Chase at Cheltenham on Sunday. The dual Cheltenham Festival winner was recording his first victory since scoring at Punchestown in April 2013. Sprinter Sacre travelled close to the pace for Nico de Boinville before taking the lead four fences out and proved far too good for his five rivals as he surged to an emphatic victory. The Nicky Henderson-trained winner of the 2012 Arkle and 2013 Queen Mother Champion Chase was side-lined in December 2013 after suffering a heart scare at Kempton Park. The nine-year-old had failed to win in three starts since the set-back, but looked good when running out an easy winner of his comeback race of the season today (Sunday). “If he was ever going to do it again, today had to be the day,” Henderson said. “We’re getting there with him. We have been happy with him and he just looks so different from last year. His whole demeanour has changed. His jumping was so good. I said to Nico that if he takes you to the front, you have to let him do it. Nico probably didn’t want to get to the front so early but you just have to let him get on with it. “You know what he’s like – you’ve seen him do it before and he wanted to do it today. He’s taken us to some amazing places over the years and probably today was one of the toughest ones. It had to happen today otherwise people would stop believing. He’s had his doubters – even I’ve been one at times – but he’s nearly back to where we want him. “We were hopeful today and he enjoyed himself. He’s entitled to come on for it but we were just desperate to get that run into him as he was ready to run. I don’t think he’s ever frightened me as much as he did today though. “Everybody has worked very hard on him. We’ve had problems with him obviously but a lot of people have worked hard to get him to where he is today. Caroline [Mould – owner] has been brilliant and sadly Raymond [Caroline Mould’s late husband] isn’t with us today but hopefully he would have approved of today’s performance. We all miss him.